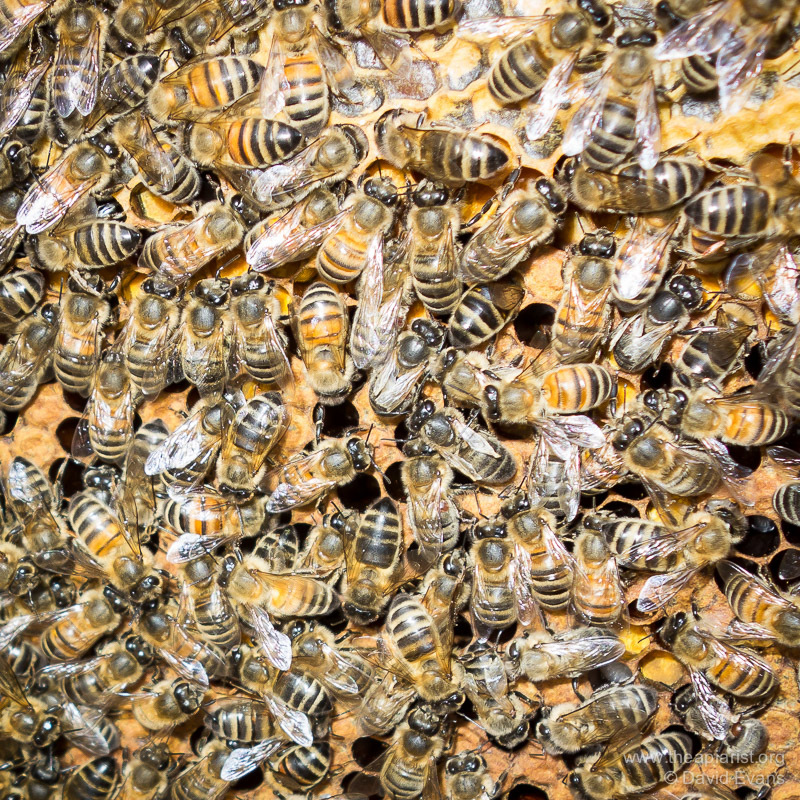 When a honey bee colony swarms, what proportion of the bees in the colony leave with the queen? A simple question and one that has been addressed using elegantly simple experiments. 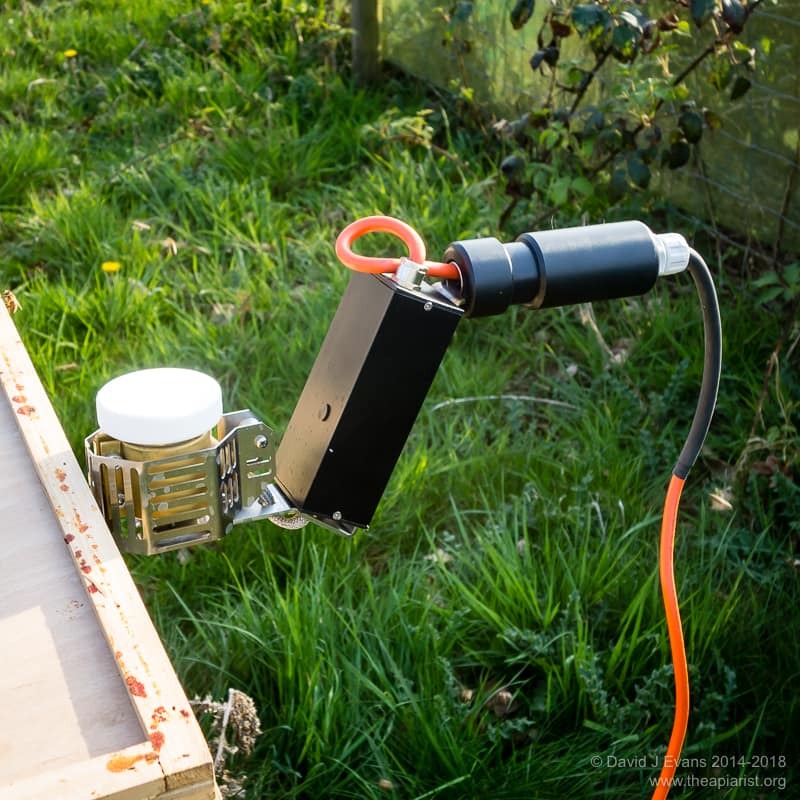 But swarms don’t leave without also taking Varroa mites with them 1. What proportion of the Varroa mites in the colony leave with the swarm? 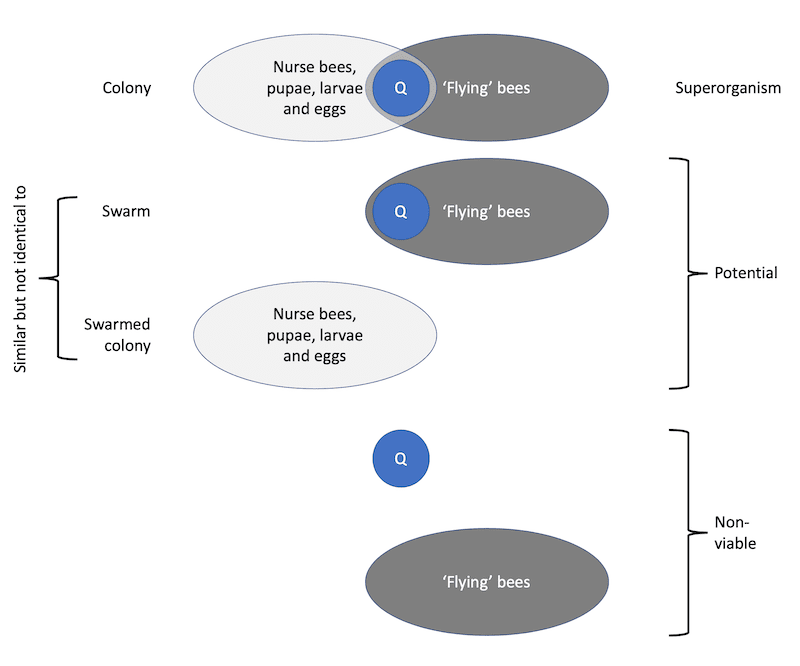 In both cases partitioning refers to the proportion that remains with the original colony (bees or mites) and the proportion that disappears over the fence (or appears in your bait hive). 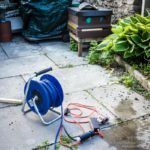 If you’re interested in honey from your bees the answer to the first question is very relevant. 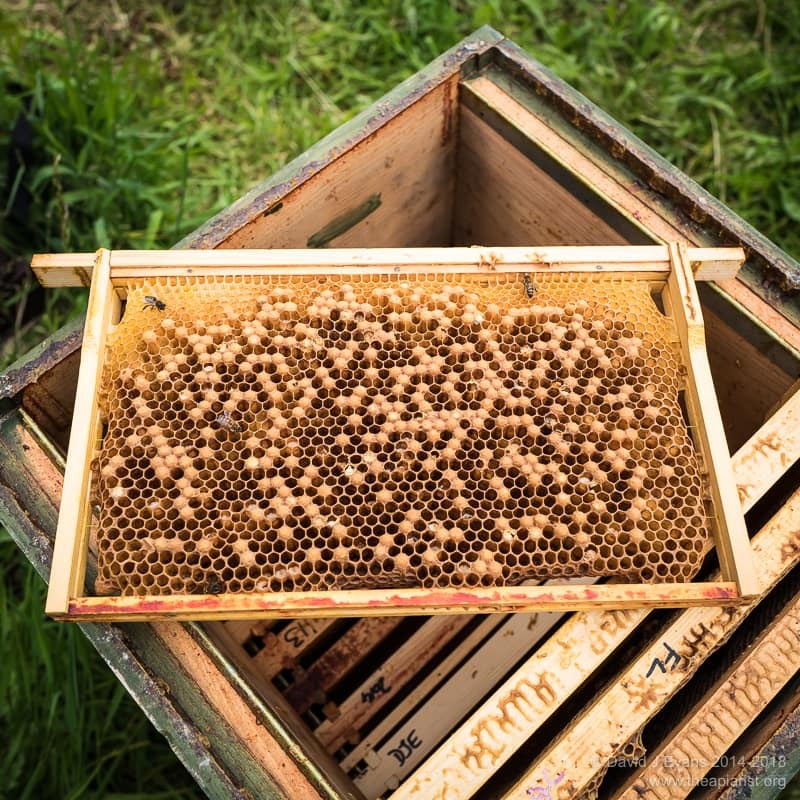 The more bees that leave, the less remain to forage … so you’ll get less honey. 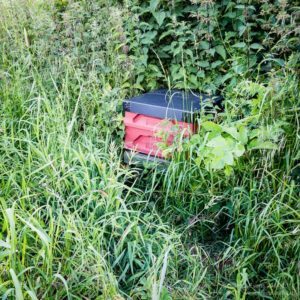 If you collect swarms or use bait hives to attract them, the answer to the second question is particularly relevant as it emphasises the importance of Varroa treatment of newly-hived swarms. 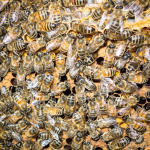 Colonies swarm when they are strong, which is usually – but doesn’t have to be – when the colony is big. 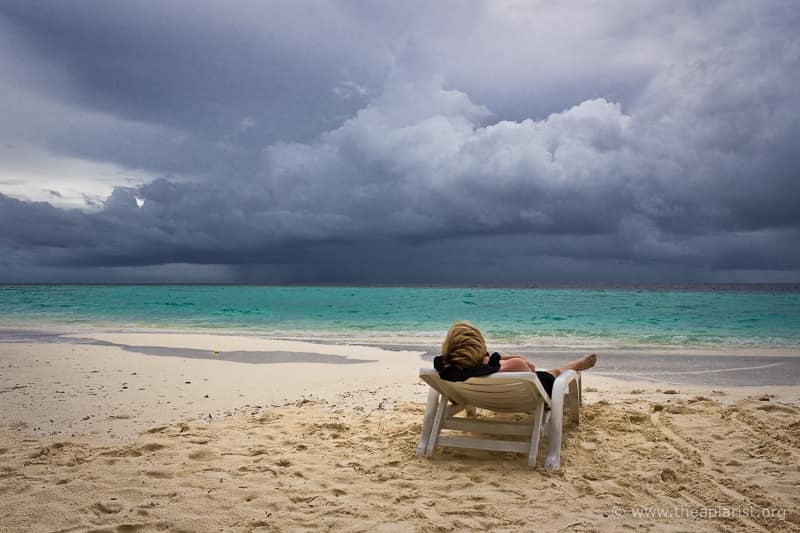 There are a number of factors that influence swarming, but the strength of the colony i.e. 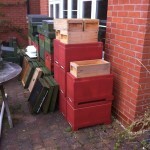 lots of bees in the space available, is one of the most important. 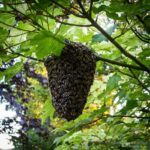 A strong nucleus colony of only 3 frames will swarm under similar conditions that induce a huge double-brooded hive to swarm; the latter might contain 75,000 bees, the former perhaps only about 7500. 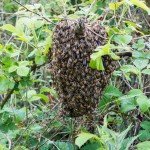 Counting large numbers of bees is not a trivial task. 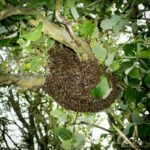 Of course, counting the bees in a swarm is pretty straightforward … catch the swarm, weigh it and divide by the weight of a ‘single bee’ 3. But this doesn’t tell you the number of bees in the original hive. 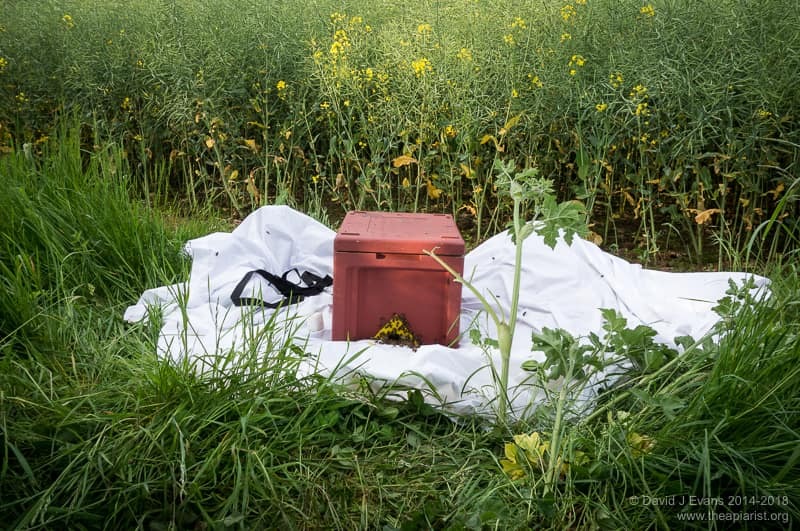 You need to know this to determine the proportion of bees that leave with the queen. Thomas Seeley from Cornell University used an elegant solution 4 to count the size of the original colony before and after swarming. He established several 3-frame narrow observation hives between gridded glass panels. 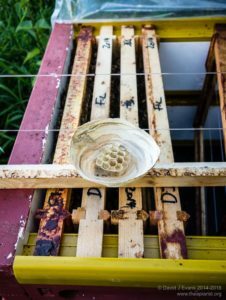 The hive was so narrow that only a single layer of bees could occupy the beespace between the glazing and the comb. 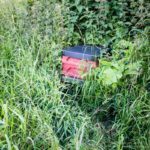 By counting bees in about 10% of the grid squares, averaging and multiplying he could accurately determine the total number of bees in the colony … which was about 7600. He determined the number of bees in the colony early every morning during the swarming season. Immediately after swarming he counted the bees remaining in the hive. 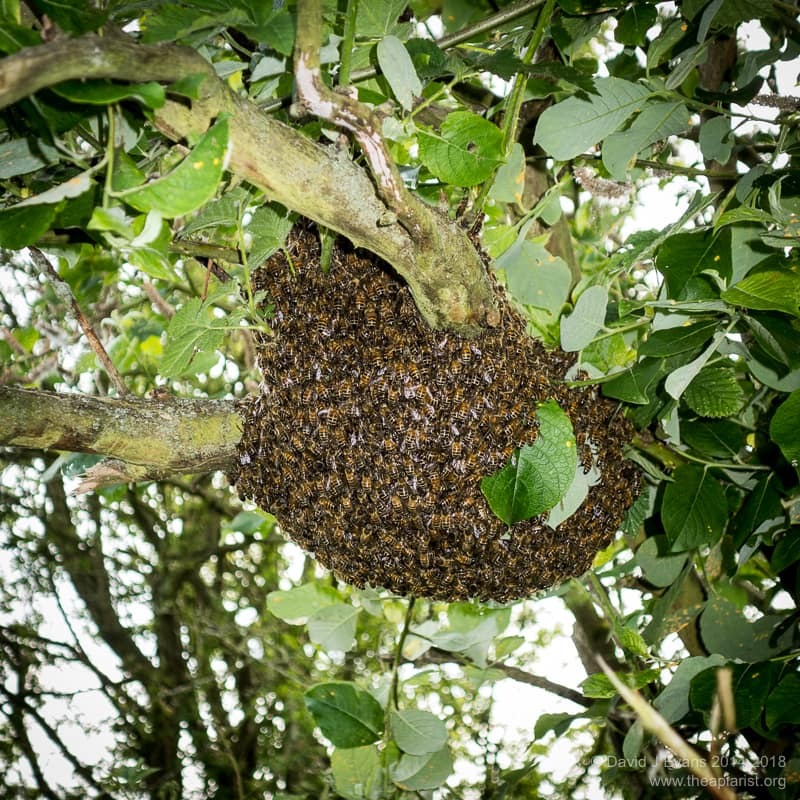 By dividing the number of bees present after the swarm left with the number present that morning he could determine the proportion of the adult workers present in the swarm. When Seeley’s small colonies swarmed, 75% of the workers departed in the swarm 5. 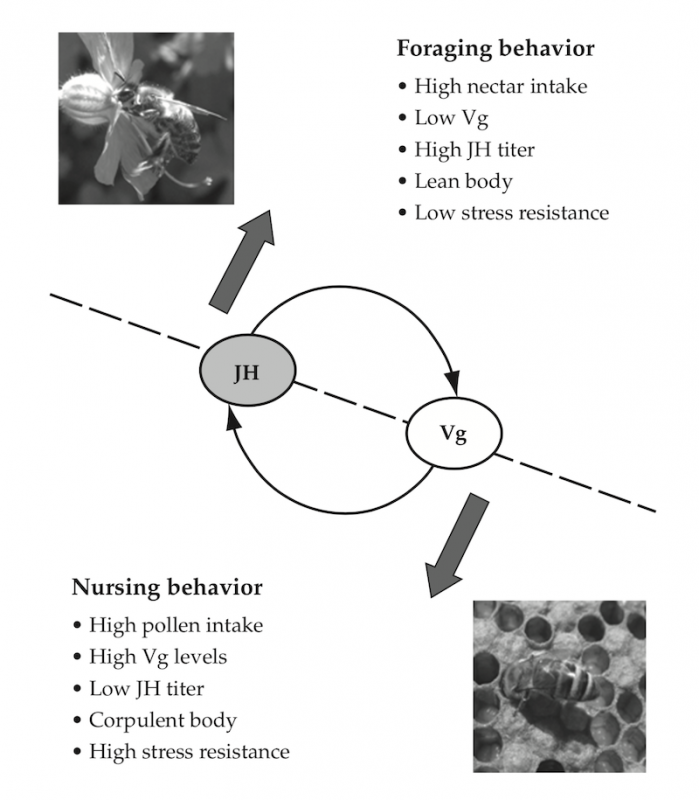 This figure is in good agreement with previous studies conducted by Getz and colleagues 6 using two larger colonies (~30,000 bees in each, 72% of which left with the swarm), and with work from the 1960’s 7 using small and large colonies (73% and 66% respectively). 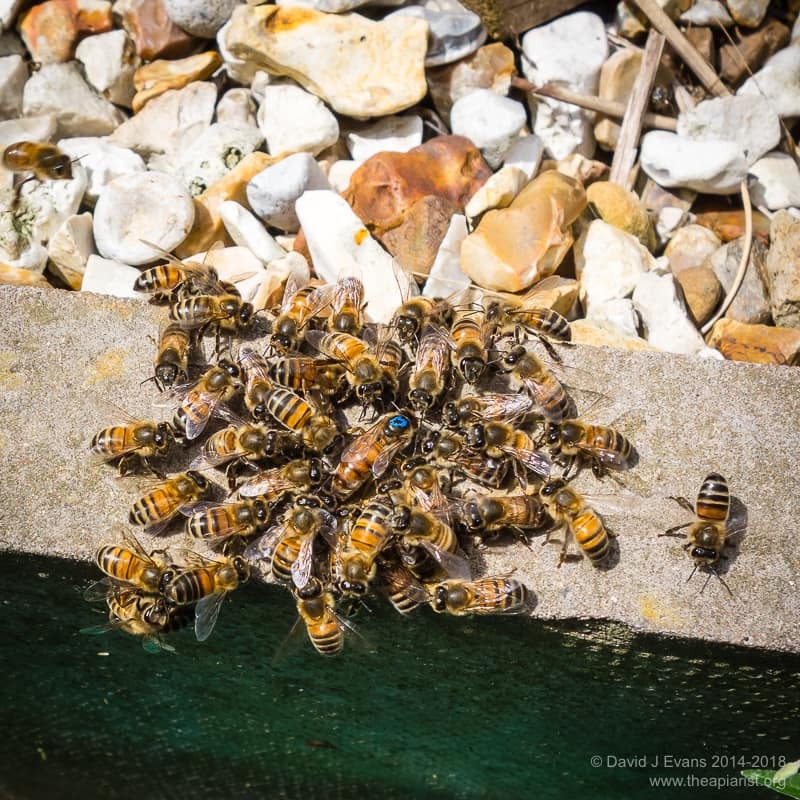 Swarm partitioning therefore appears to be colony size-independent, with about 75% of the adult workers departing with the queen. So, if size doesn’t matter, why does size matter? 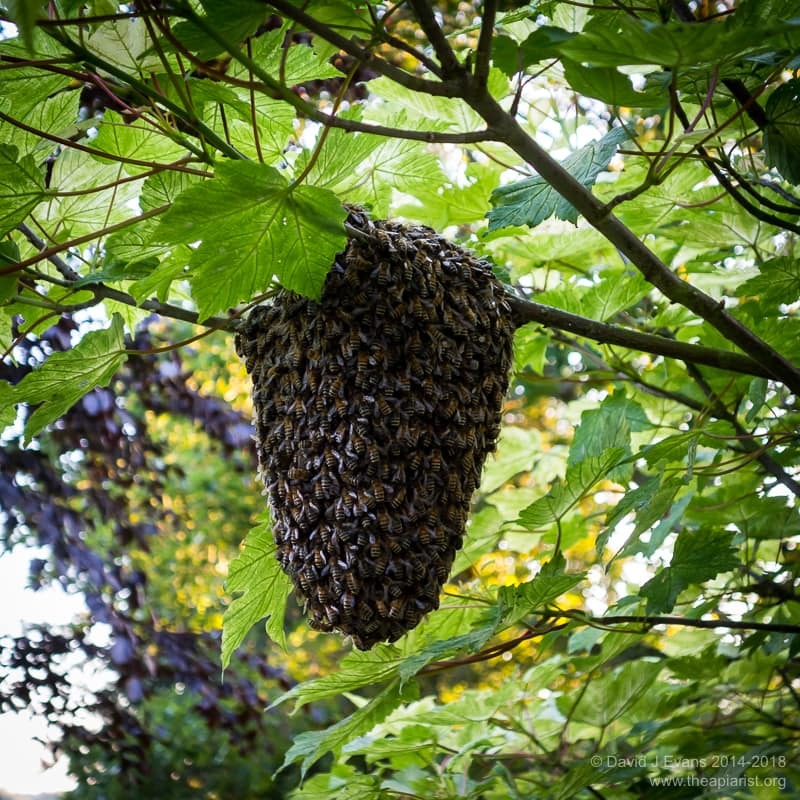 Juliana Rangel and Thomas Seeley went on to establish swarms of different sizes – small medium and large, containing 5000, 10,000 and 15,000 bees respectively … and a queen. The large swarms developed into fully-established colonies better (drawing more comb, collecting more nectar and rearing more brood). Most significantly, large swarms had a much higher survival rate. 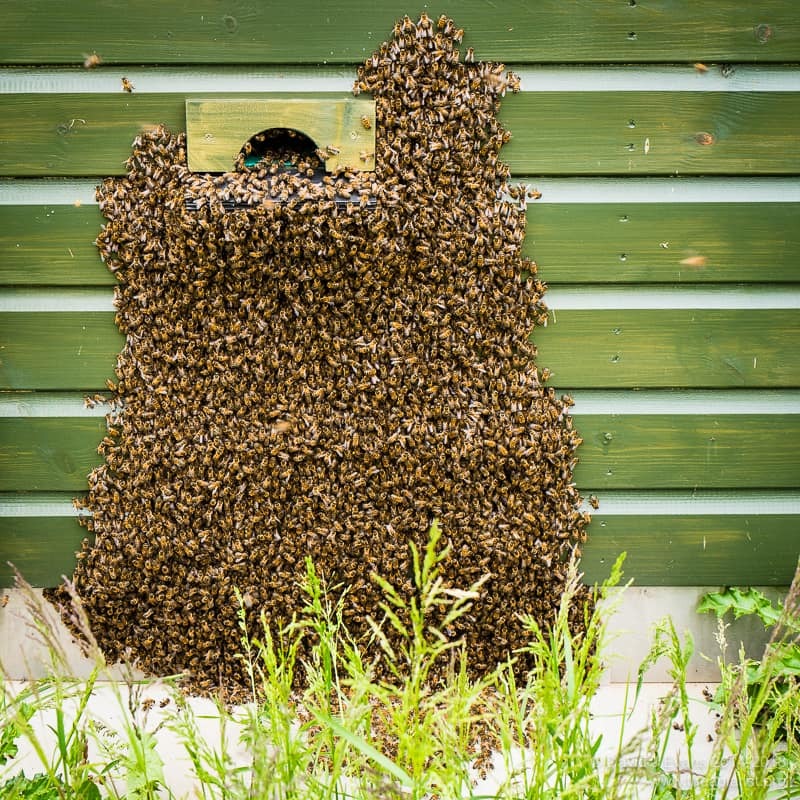 Almost 90% of the small or medium swarms failed to overwinter, whereas 75% of the large swarms survived. 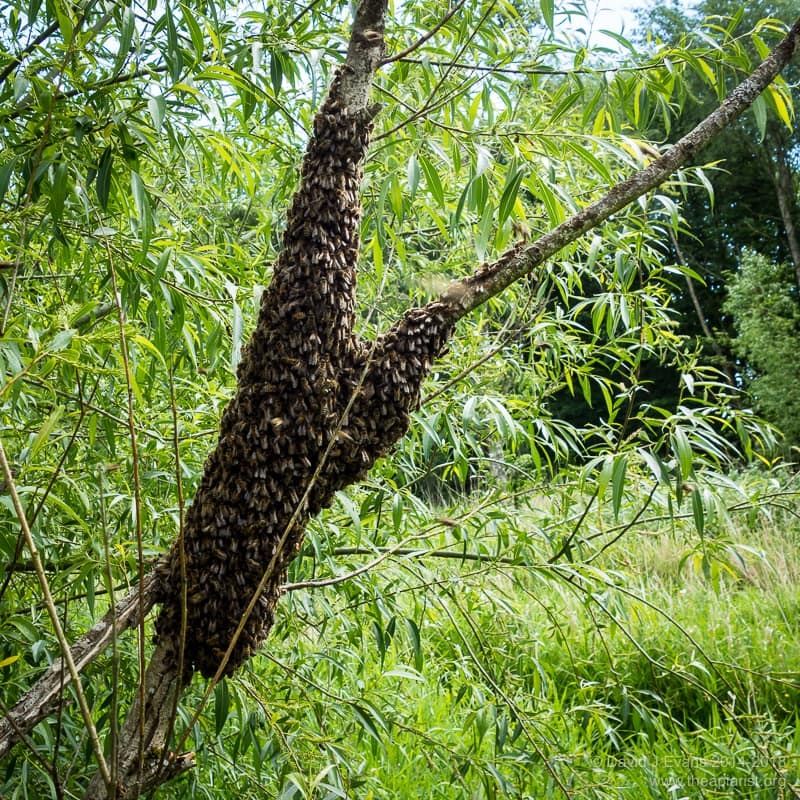 Again, there were precedents for this … in the mid-80’s Lee and Wilson had monitored survival of natural swarms and showed that larger swarms were more successful. So size matters for swarm survival. 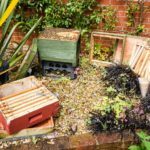 This is perhaps not surprising when you consider all the ‘work’ the colony needs to do to survive the winter – draw out a large area of comb, store about 20kg of honey and rear thousands of new workers. In addition, it turns out that larger swarms are probably better at choosing suitable nest sites to occupy. 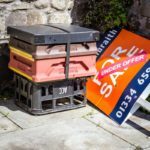 This is because they have a larger number of scout bees to find the sites faster, thereby improving the decision-making process. And, of course, size also matters if you want your colonies to spend their time collecting nectar for honey production. 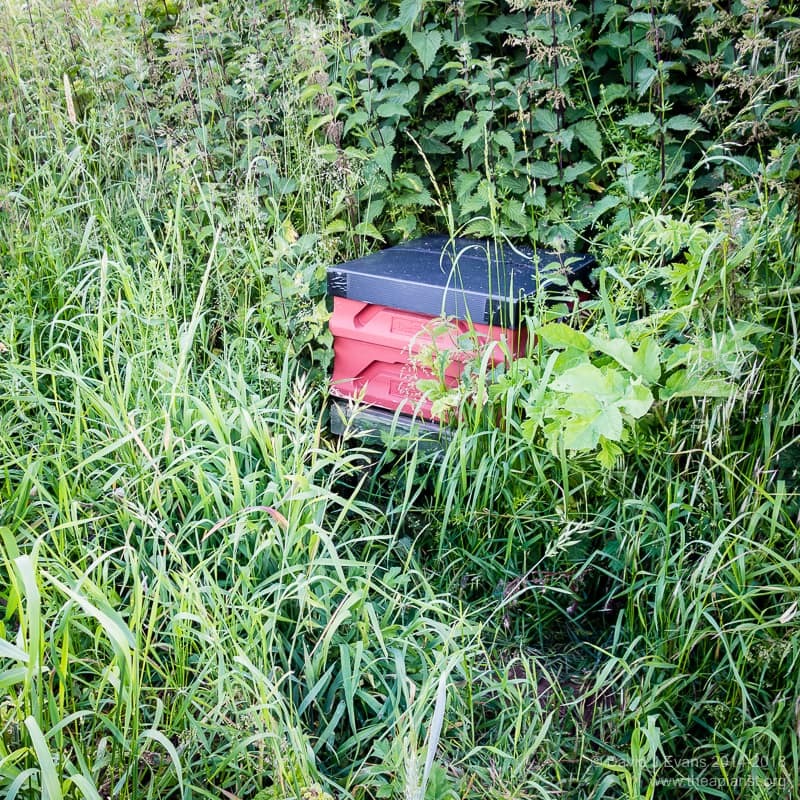 When a colony swarms 75% of the workforce leaves and, inevitably, the productivity of the hive is significantly reduced for an extended period. Mite partitioning … simple maths surely? The only mites that can leave the colony when it swarms are those that are phoretic i.e. riding around the colony on adult bees. The remainder are safely tucked away in capped cells gorging themselves on pupae. 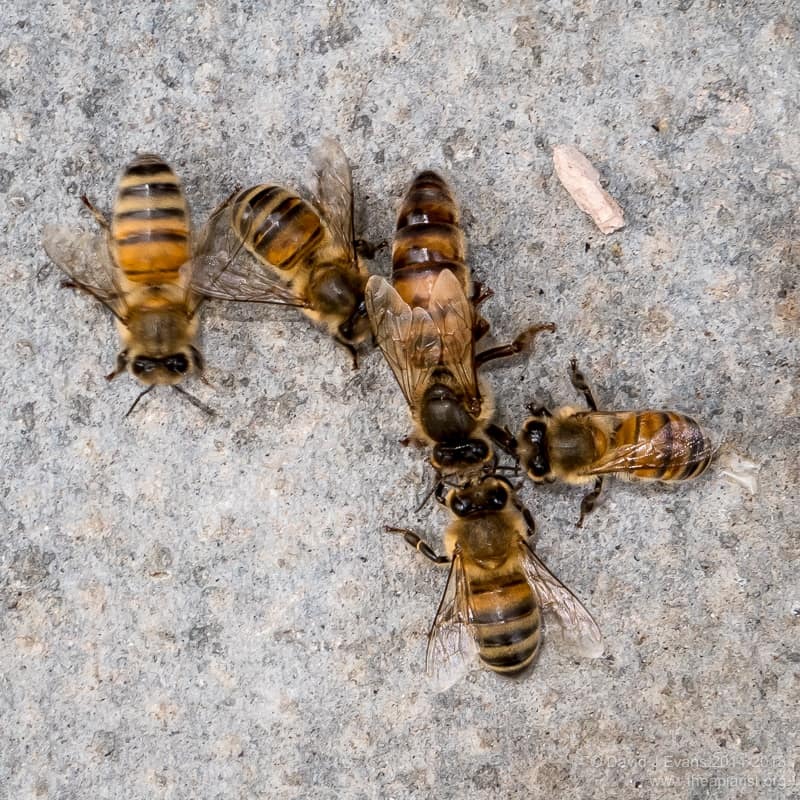 If we assume that all the adult bees are workers 8 it is a simple calculation to work out the proportion of mites in the colony that leave with the swarm … 0.75 * X, where X is the proportion of mites in the colony that are phoretic. 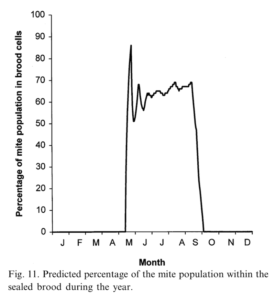 So, if 10% of the total number of mites are phoretic, 7.5% of the total mites would disappear with the swarm. 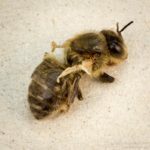 This could explain the small colony size and frequent swarming of Varroa-tolerant feral colonies … every time they swarm, over 90% of the mites are left behind. The proportion of phoretic mites in a colony is unfortunately not static. 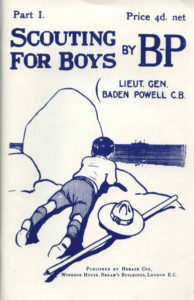 It fluctuates with the availability of suitably-aged larvae to infest. It is therefore influenced by the egg laying rate of the queen. 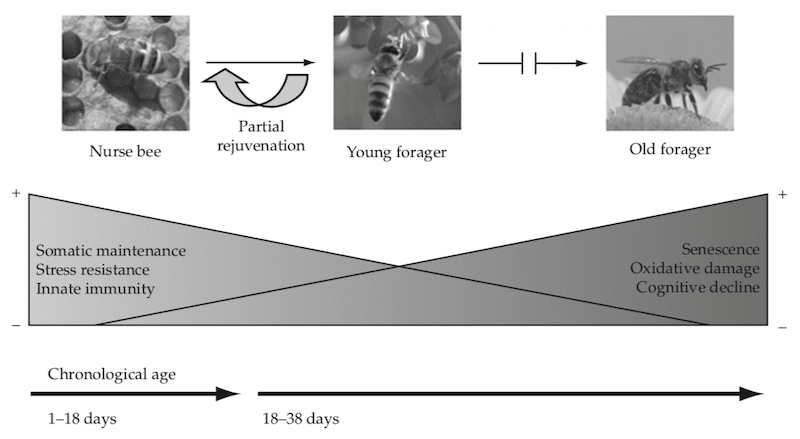 Numbers often quoted for the experimentally-determined proportion of phoretic mites range from 10-50% (or more), a range reflected in a well-established model for the seasonal reproduction of Varroa 9. Remember that the graph (right) is modelled data. In a real-world situation there will be brood earlier and later in the year. 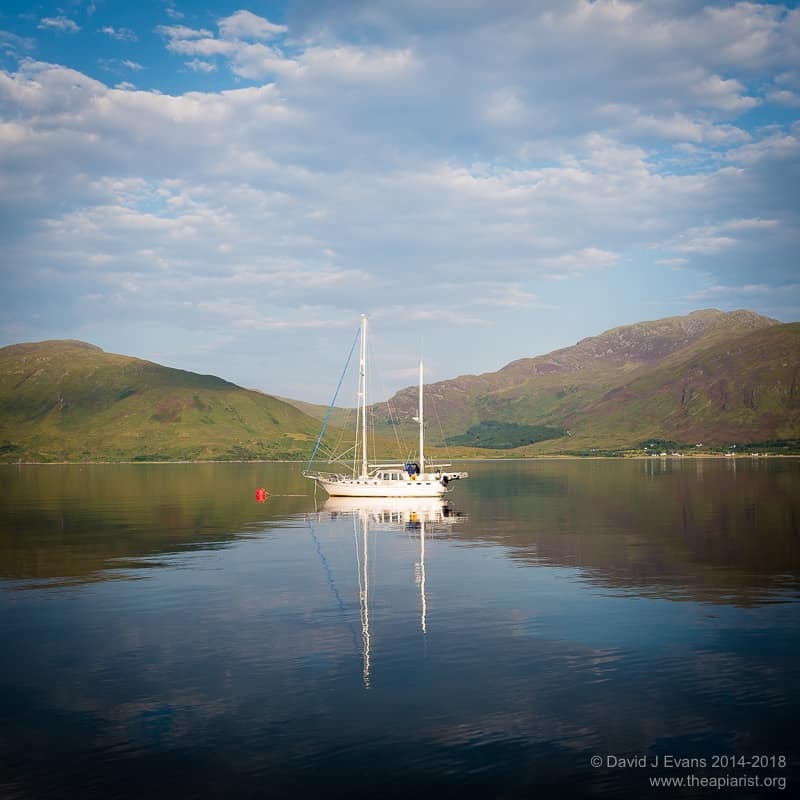 However, in a first attempt at calculating mite partitioning during swarming in May/June the modelled data is close enough to experimentally-determined data to be usable. 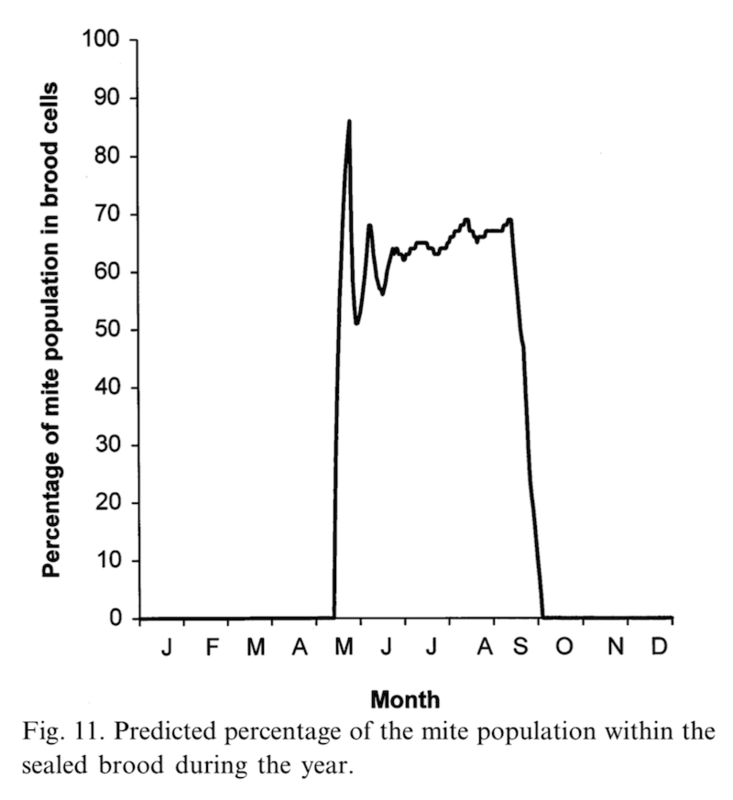 The extreme values from the May/June (the swarming season) predictions in the graph above indicate that phoretic mites proportions range from 15-50% of the total in the colony. 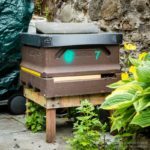 A swarm containing 75% of the adult bees in the hive would therefore also leave with somewhere between 11% and 37% of the Varroa from the colony. The higher of these figures is quoted by Thomas Seeley in his study of the frequently swarming Varroa-tolerant colonies in the Arnot Forest, though this is calculated from his own swarm partitioning studies and data from others, and was not directly measured. However, Jerzy Wilde and colleagues have conducted one of the few studies that have experimentally measured mite partitioning in natural and artificially-swarmed colonies. Of seven large colonies (~30,000 bees) which swarmed naturally, 25 ± 9% of mites left the colony with the swarm. 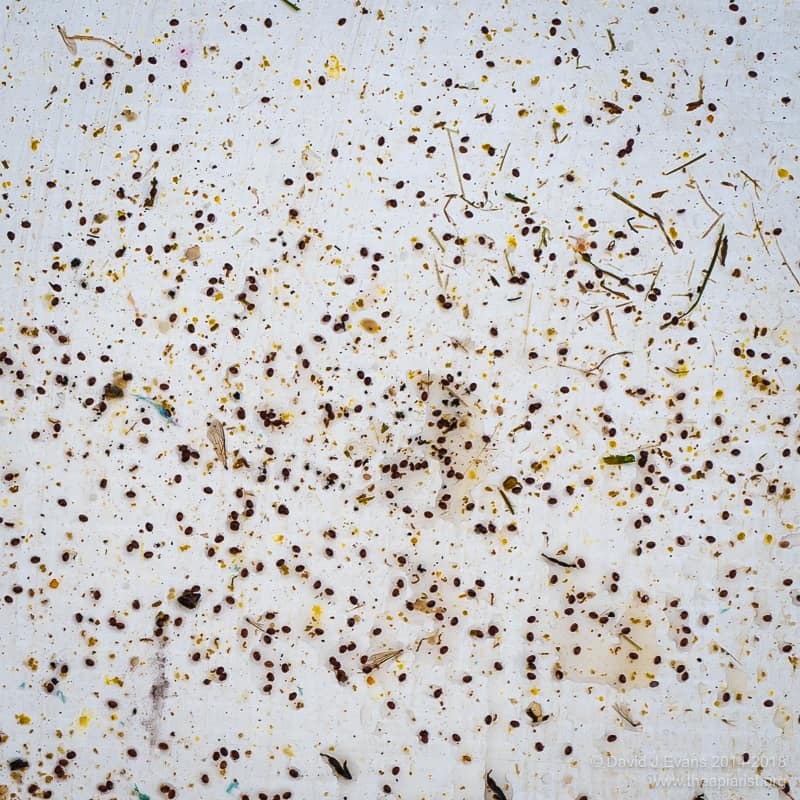 Using a Taranov board, 36 ± 11% of mites left the colony with the swarm fraction in the artificially-swarmed colonies. A quarter of all the mites in a heavily infested colony is a lot of mites. Which is why it’s always sensible to treat swarms you catch/attract/buy 10 for mites. 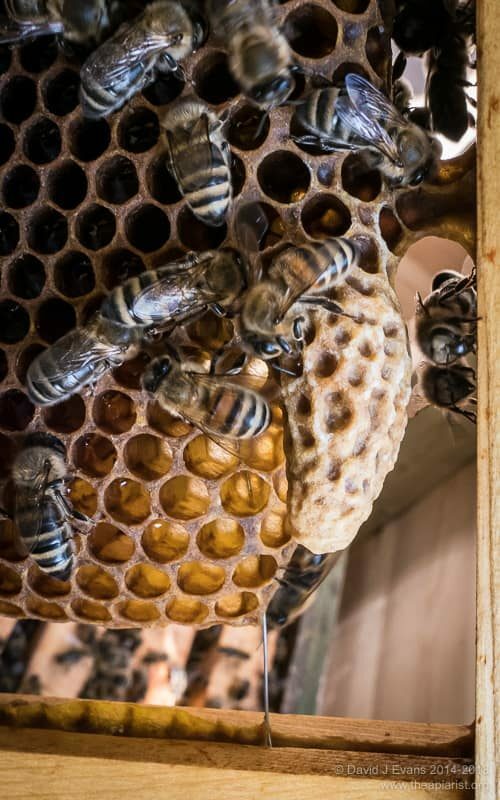 By definition, all the mites in a swarm are phoretic, so they’re easy to kill using miticides – such as those based on oxalic acid (either trickled or sublimated) – that work best on broodless colonies. I have a few concerns about the Wilde study. 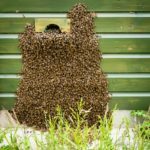 The size of the swarms generated was significantly smaller than usual, containing only ~45% of adult workers. 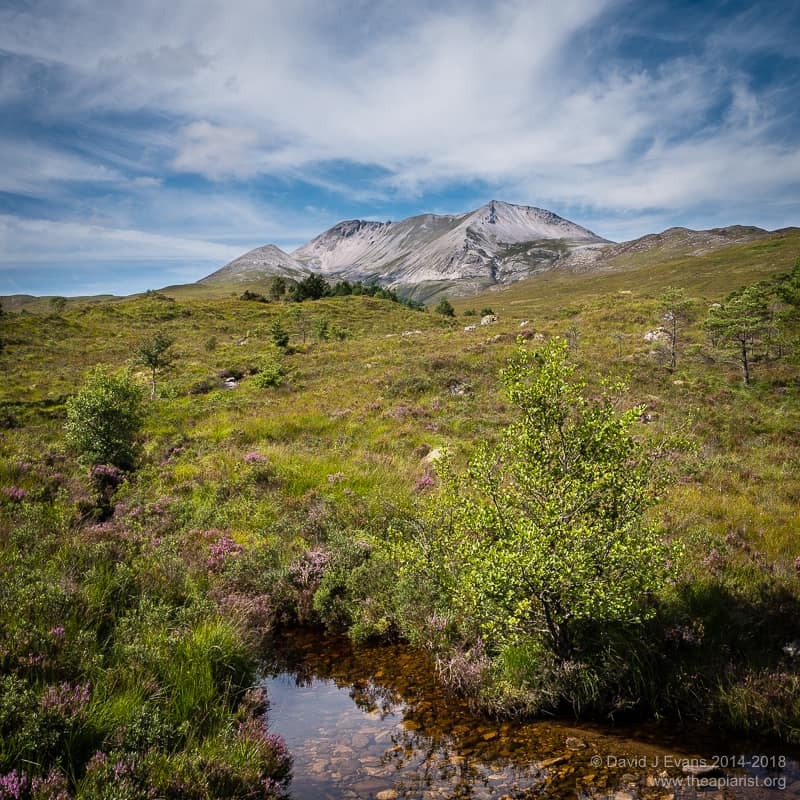 In addition, the initial mite-infestation levels were quite low, implying that the available open brood was unlikely to be rate-limiting in terms of mite reproduction and the phoretic period. I’ll return to this in a future post but it’s worth remembering that the queen markedly reduces her egg-laying rate as the colony prepares to swarm. 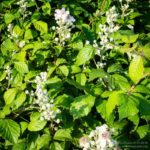 This results in fewer 5-day larvae and so decreases the opportunities for phoretic mites to hide themselves in capped cells. 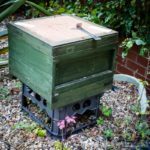 This entry was posted in Beekeeping, Swarms on May 25, 2018 by David.